Membership provides you with an entire year of access to art and culture through free admission to the Columbus Museum of Art and the Pizzuti Collection of the Columbus Museum of Art, invitations to member-exclusive events, and free or discounted tickets to public programs. 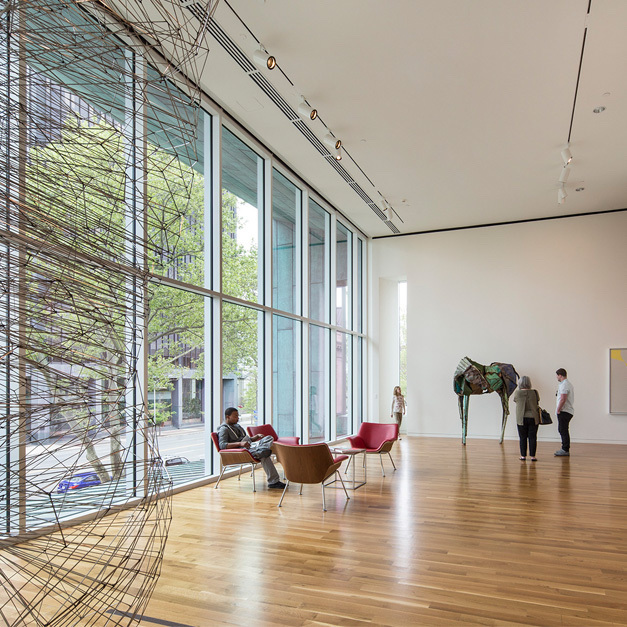 Your membership contribution provides critical operating support to CMA and helps sustain the Museum’s community programs, preserve and expand CMA’s art collection and make it accessible to all, and bring world-class exhibitions to Central Ohio. A membership to the Columbus Museum of Art is a meaningful gift that will be enjoyed all year long. You can find the perfect membership for everyone on your gift list. To give a gift membership click on Join or Renew for the level of membership you wish to give. Then check the box that says this membership is a gift. Questions? Please contact Bethany Simms, Membership Coordinator, at membership@cmaohio.org or call 614.629.0344. Want to get even more out of your membership? Upgrade any time by calling the Membership Office at 614.629.0344. Student through Reciprocal level memberships are fully tax deductible. As a CMA Council member you will have the opportunity to explore and grow your interest and enthusiasm for art, while advancing the mission of CMA through the CMA Council’s ongoing support of the Museum. You’ll receive invitations to exclusive social events, curator-led previews of special exhibitions, specially-curated family experiences, and curator-led trips to arts destinations, galleries, artist studios, and prominent collections as well as recognition on CMA’s Annual Report and Donor Wall. For information on CMA Council levels and benefits, please contact Gabriel Mastin, Leadership Giving Officer, at 614.629.0307 or gabriel.mastin@cmaohio.org. The Donor Circles begin with unrestricted gifts of $2,500 and higher. As a Member of a CMA Donor Circle you share the Museum’s commitment to great art and ideas and to the importance of creativity in all our lives. Each Circle offers an enhanced level of engagement with art, artists and professionals, as well as fellow donors. For additional information on Donor Circle levels and benefits, please contact Lucy Ackley, Director of Development at 614.629.0351 or lucy.ackley@cmaohio.org. If you would like to give through a donor- advised fund or a foundation, please check with your fund manager before initiating payment so as to follow any IRS guidelines for membership contributions. Membership benefits can be covered with a personal payment of the non-tax- deductible portion. Please refer to membership rates and tax-deductibility above. You may decline these benefits to receive full tax-deductibility. General Membership discount of 10% for seniors, educators, and students is available for Individual, Family, and Reciprocal level memberships. For more information or to receive these discounts, please inquire at the CMA Admissions Desk with a valid ID or call the Membership Office at 614.629.0344. Discounts are not available online and may not be applied retroactively or combined with other promotions. All membership are valid for one year from date of purchase, and are non-refundable and non-transferable. Memberships are tax-deductible to the full extent of the law. Benefits and prices are current as of January 2019, and are subject to change.